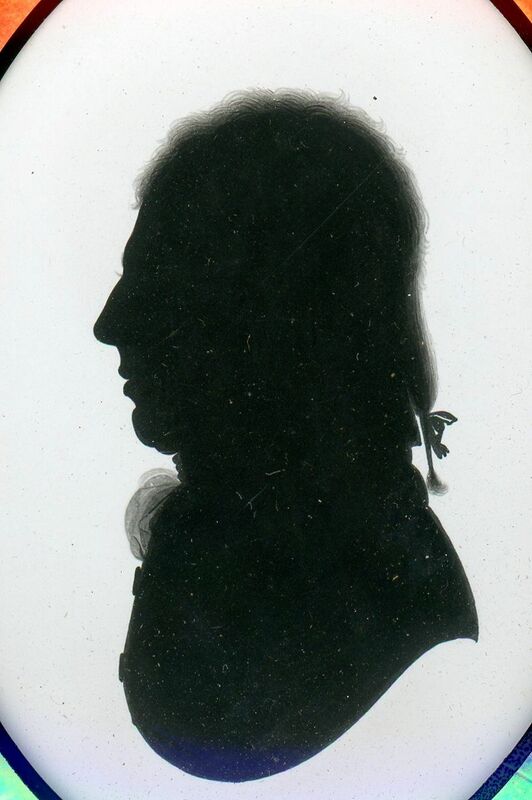 A late 18th century silhouette portrait of a gentleman painted on plaster by John Miers of The Strand, London. A partial inscription on the reverse names the gentleman as Hon. Thomas —-ton. He is wearing a bound pigtail wig tied with a small bow, a frilled chemise and a buttoned coat. 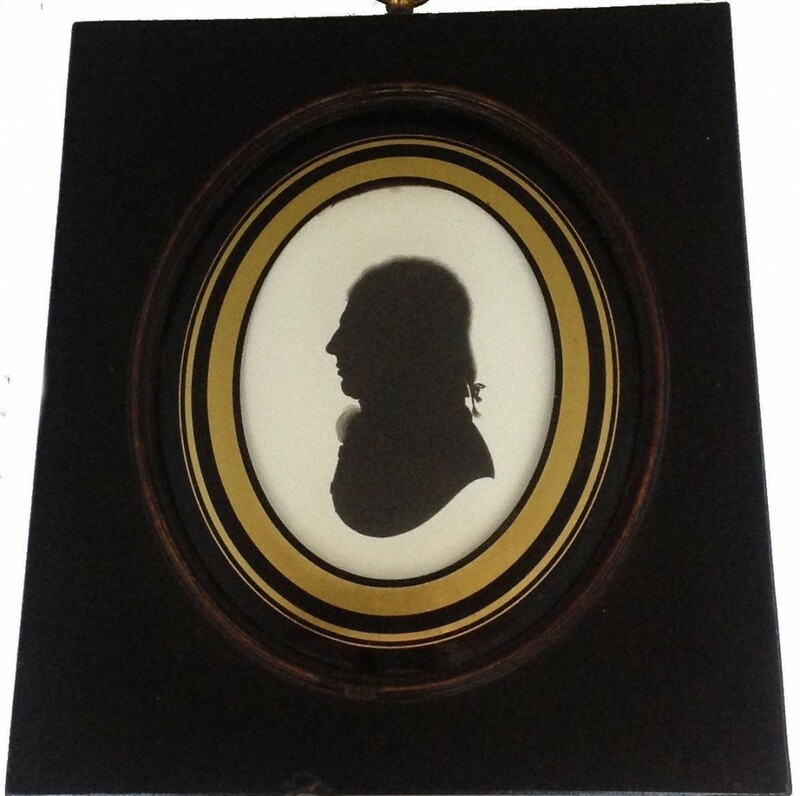 The silhouette is set in the original frame with a verre eglomisé surround and is backed with the artist’s trade label no. 11. 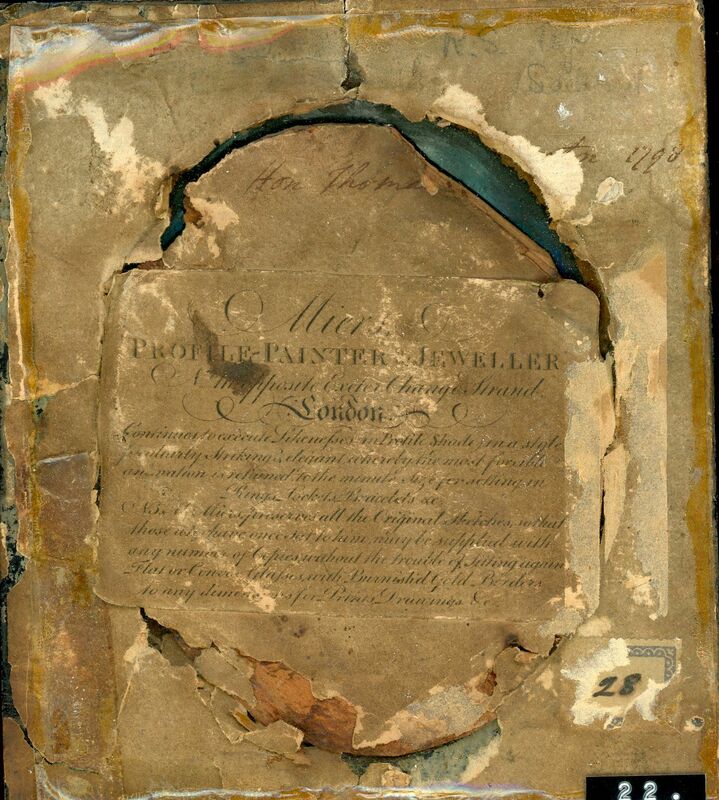 During the period that this label was in use John Miers was employing other artists in his studio in addition to John Field. 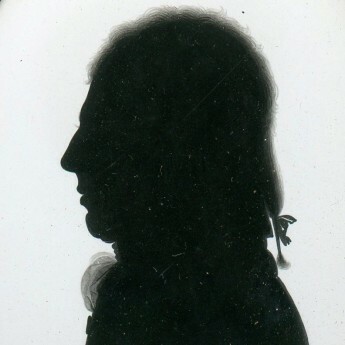 Apart from some dust under the glass and a speck of dirt at twelve o’clock, the silhouette is in very good condition. 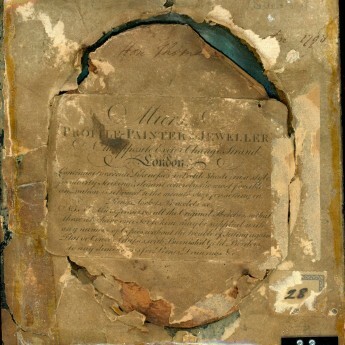 The frame, as is usual, has a couple of chips and nicks and the label is protected by plastic film.